My naturopathic doctor recommended Allergena Mold Mix by Progena to help with a slight mold allergy I was experiencing. I literally cant say enough good things about Allergena Mold Mix by Progena. I am very allergic to mold and this product stops the reaction. I have serious chronic problems with mold sensitivity and my symptoms get much worse during the rainy summer months. Without Allergena Mold Mix by Progena I would be miserable! Progena’s Allergena Mold Mix could potentially offer natural relief from certain symptoms associated with minor mold allergies‚ such as itchy eyes‚ sneezing‚ or a runny nose. In contrast to many other allergens‚ mold is present year-round. According to proponents of homeopathy‚ highly diluted amounts of natural substances may act to stimulate your body’s ability to heal itself‚ while sublingual immunotherapy is based on the principle that exposure to small amounts of allergens might work to build immunity. For this reason‚ Allergena Mold Mix contains several types of indoor and outdoor mold fungi. In addition‚ Allergena Mold Mix provides herbs that could potentially work to encourage lymphatic drainage‚ which is important because your lymphatic system plays a key role in maintaining optimal immune function. Last‚ this Progena supplement is gluten-free and unlikely to cause drowsiness. Each bottle of Allergena Mold Mix by Progena contains two fluid ounces of solution. Acremonium‚ Alternaria Tenuis‚ Aspergillus Mixture‚ Aureobasidium‚Botrytis Cinerea‚ Chaetomium Globosum‚ Cladosporium Cladosporioides‚ Curvularia‚ Drechslera‚ Epicoccum Nigrum‚ Fusarium‚ Mucor‚ Neurospora‚ Nigrospora‚ Penicillium Mixture‚ Phoma Herbarum‚ Rhizopus‚ Rhodotorula Rubra‚ Stemphylium‚ Torula Cerevisiae‚ Trichoderma Lignorum‚ Trichophyton Mentagrophytes. Inactive Ingredients: Demineralized Water and 25% USP Ethanol. 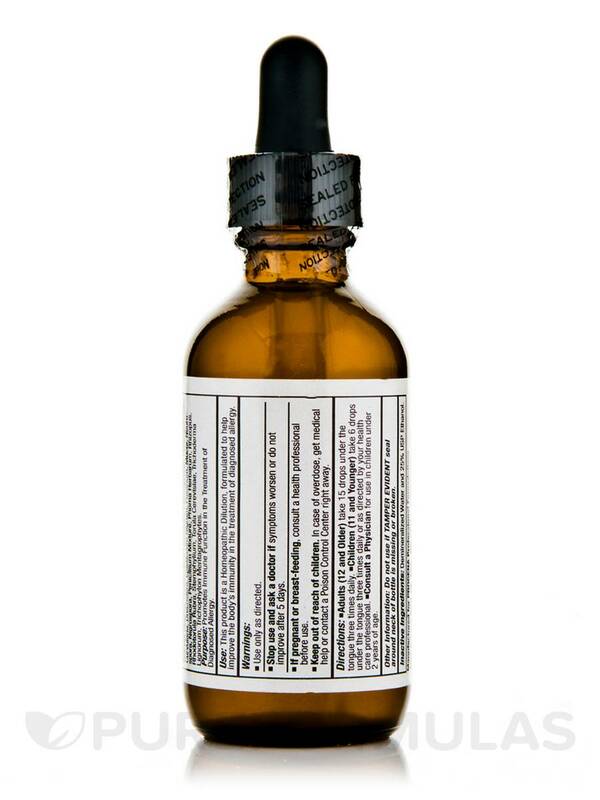 • Adults (12 and Older) take 15 drops under the tongue three times daily. • Children (11 and Younger) take 6 drops under the tongue three times daily or as directed by your health care professional. • Consult a physician for use in children under 12 years of age. If pregnant or breast-feeding‚ consult a health professional before use. Keep out of reach of children. In case of overdose‚ get medical help or contact a Poison Control Center right away. The drops are easy to take and last a long time. I have been using Allergena Mold Mix by Progena for about a year now in the Pacific NW. It is great for this climate. I have allergies to mold and since using Allergena Mold Mix by Progena my symptoms have completely resolved. I am free of the headaches, andmy lungs feel clear and free from the heavy "aching " feeling i had. I have so much relief. It is sublingually taken, and works! I got this for my son who seems to be experiencing allergies to mold here in Texas. Hes taken it for 2 weeks now and does seem to be improving a little bit but it may still be too soon to tell. 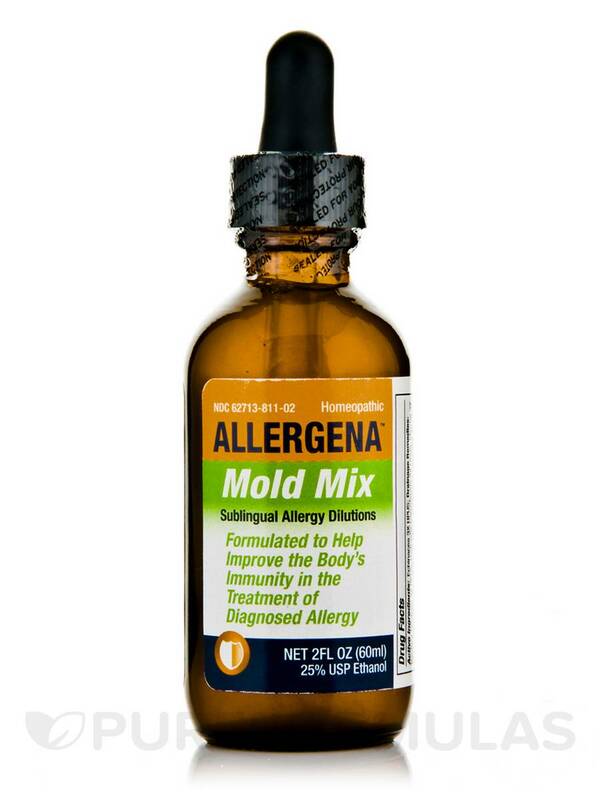 If you want relief Allergena Mold Mix works! I have been plagued with allergies to mold and other environmental allergies and when I started to use these products I was able to control my allergies 100%. I am truly amazed at the relief I have! It works it is easy it is cost effective. Allergena Mold Mix arrests the ability for mold to entertain my body in dreary cold wet wintery months. When others are coughing wheezing etc. I am maintaining my health with Allergena Mold Mix. 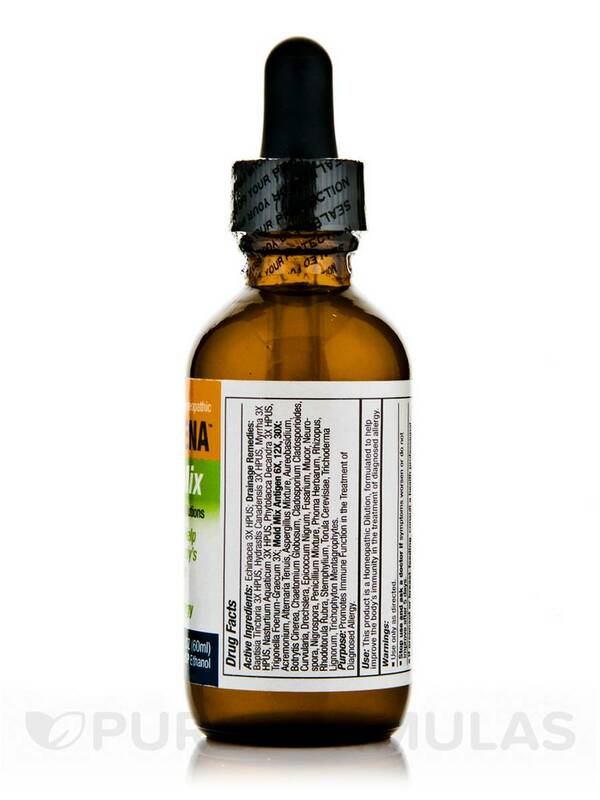 Since I suffer from Candida Allergena Mold Mix helps eleminate the onset of mold forming in my body. I highly recommend Allergena Mold Mix from PureFormulas!